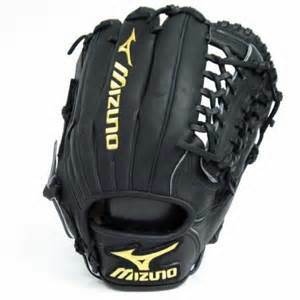 Manufacturers have advanced the science of glove making, especially infield gloves, to the point of making a decision on which to choose, quite difficult and somewhat complicated. Let’s take it slow and easy and walk through the various issues to be considered. The first issue to consider is size. A glove is measured from the heel of the glove (by the wrist) to the top of the glove on the finger side of the web. The size dictates which section of gloves to begin your search. Bear in mind these are only guidelines as humans come in different sizes. The important thing to remember is to Not buy a glove too big. 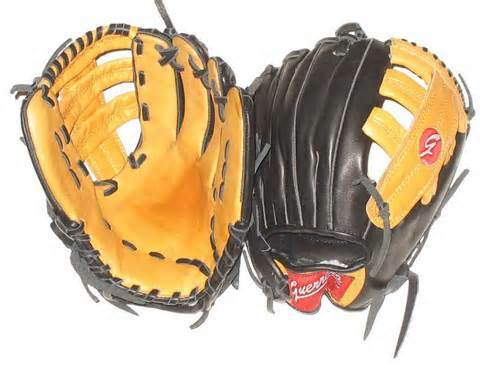 If the player can not close the glove, he won’t be able to field with it. If budget is a factor, buy a cheap small glove and save the money to spend on a better glove for later years. Gloves have evolved to become “Position Specific” so if you’re not sure what position you’ll be playing buy a slightly larger utility glove. The 3 main things we’re looking at is Web Style, Back Style and Pocket. We’ll start with second base and move around from there. A second baseman will generally always use the smallest of all infield gloves. His top priority is to field the ball cleanly and make a quick transfer of the ball to the throwing hand. Having to dig into a deep pocket of an oversized glove would make that impossible. In order to accomplish this he must use a small glove with a relatively shallow pocket designed to allow quick transfer of the ball from glove to throwing hand. 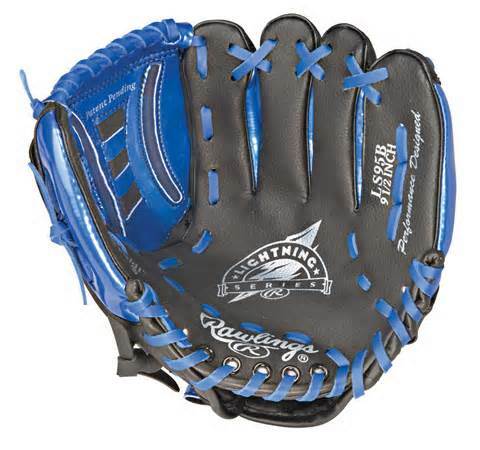 In addition infielders normally prefer an open back glove for increased comfort and flexibility. The web design of choice is the single patch web, basket web or the new I-web. The shortstop will use a glove slightly bigger than the second baseman, perhaps 11 ½ “ to 12” instead of 11”. The reason for this is the shortstop will normally be required to snag a ball deep in the hole. He needs a little larger glove to increase fielding capability yet still small enough to allow a quick retrieval of the ball to the throwing hand. They don’t call third base the “Hot Corner” for nothing. A third baseman must be able to have a glove which will snap shut on its own, preventing the ball from bouncing out, when fielding a scorching ground ball. Therefore, the 3rd baseman usually uses a larger glove 11 ¾ “ to 12” with a pocket much deeper than the shortstop and second baseman. They prefer an open back glove with an Dual (H) or I-web for strength. We’ve mentioned web design quite a bit in analyzing gloves. Listed below is a brief description and the logic behind each web design. Single Patch Web These webs are constructed of a single piece of leather attached by a double X lacing. This allows for a shallow pocket which middle infielders use for a quick transfer of ball to throwing hand. Trap or Modified Web This web design offers great flexibility for snagging or trapping the ball. Basket Webs These webs offer the same quick transfer ability of the Single Patch, but offers slightly better flexibility. H-Webs These webs are flexible yet very sturdy. They offer great sight line on pop ups to the infield & outfield. I-Web These webs offer the best flexibility for snagging and securing the baseball, but also allows for quick baseball retrieval. This web also stops the spin of the ball immediately upon the catch. T-Web / Single Post These webs offer flexibility and sight lines similar to the H-web model.